Pennsylvania had the fourth-highest drug-overdose death rate in the United States in 2016, and it's a rate that has more than doubled since 2010. As a social worker and researcher, I have watched for more than a decade as we prioritize harsh criminal-justice tactics while evidence-based public-health responses remain underfunded or illegal. While death rates continue to rise, I wonder: How do we measure whether our policy solutions are effective and at what point must we change course to explore other options? What evidence is available to us and how do we use it in decision-making? We don't know if cracking down on drug supply is saving lives. We do not know which drugs are most commonly involved in overdose deaths across Pennsylvania. The state's drug-overdose data are so limited that only 55 percent of death certificates for these deaths identified the specific drugs that were involved. How many Pennsylvanians lethally overdosed on prescription opioids? Did the number change after expanding Prescription Drug Monitoring Programs to restrict "doctor shopping" and "pill mills"? Did illicit drug overdoses increase as doctors and legislators cut people off from regulated supplies? We cannot say. We don't know if more people are calling 911 in case of an overdose. 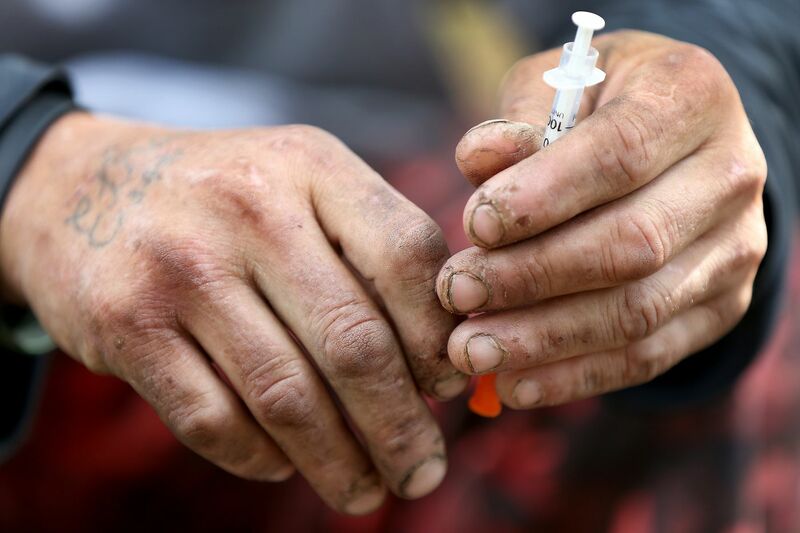 Pennsylvania is among 40 states that have a Good Samaritan Law (GSL) on the books, which grants 911 callers and overdose victims immunity from certain drug possession or paraphernalia charges if they contact 911 for help in good faith. Although research suggests that neighboring New York's GSL has increased emergency-room visits and inpatient admissions of people who overdosed, it is less clear whether this same trend is occurring in Pennsylvania. Evidence suggests that media attention on the increased number of drug-induced homicide prosecutions – bringing homicide charges against people who sold or gave drugs to a person who overdosed — could end up serving as a deterrent to calling 911, especially if friends or co-users face arrest for these charges. During a time when Pennsylvania is among the leaders in overdose deaths, can we afford new barriers to calling 911 to save a life? We don't know what treatment access looks like. Methadone is the gold-standard treatment for opioid-use disorders because decades of research have taught us that it reduces the risk of HIV and hepatitis C transmission, lethal overdose, and unsafe injection practices. Dozens of methadone programs exist across Pennsylvania, yet many remain inaccessible, often due to stigma and NIMBY-ism. The limited locations of Philadelphia's methadone clinics exemplify this and the situation is often tougher in rural communities. A newer medication, buprenorphine, shares many of methadone's benefits. Hundreds of medical providers are certified and more become certified every year. However, specialized training requirements for prescribers, in addition to strict limits on the number of patients to whom doctors can prescribe, create barriers for both prescribers and patients. Rural areas face greater challenges, as they have fewer prescribers. Even people with insurance often struggle with costly co-pays. How can we save lives when life-saving medicine is hard to get? What about people who continue to use drugs? Around 90 percent of Americans who met criteria for substance-use disorders did not access specialized substance-use treatment last year. How do we keep those people alive and healthy while they might be using adulterated heroin, mixing different classes of drugs, and using unsterile equipment in unsafe conditions? Syringe-exchange programs remain illegal in the state, even though they offer people a lifeline by providing sterile equipment, wound care, naloxone, and support and resources. There are two exchanges operating in the state under local authority (in Philadelphia and Allegheny County), but the state still will not lift the prohibition on possession and distribution of drug paraphernalia. The state could be at the forefront of addressing this crisis by opening our nation's first Supervised Consumption Space, which is being discussed in Philadelphia. Decades of international research tell us that they save lives. Are we addressing the overdose crisis when we leave the people most at risk in the shadows? Pennsylvania needs a comprehensive overdose strategy to include these people, too. Complex problems need complex (and evidence-based) solutions. When I try to make sense of our often contradictory and mixed responses to our overdose crisis, I remember the parable of the blind men encountering an elephant for the first time. One touched the trunk and thought the elephant was like a snake. Another touched a leg and thought it was like a tree. Yet another thought its torso was broad and flat like a wall, and so on. Like each blind man who felt a different part of the elephant and perceived it in light of his prior experiences, too many of us have narrowly viewed this crisis through our punitive lens and proposed harsh, ineffective, drug-war tactics of the past. We could all use a new perspective that focuses on evidence and improved outcomes, rather than restriction and punishment. Dr. Sheila P. Vakharia is a policy manager at the Office of Academic Engagement at the Drug Policy Alliance. The Drug Policy Alliance is a nonprofit advocacy organization fighting to end the war on drugs. Follow her @MyHarmReduction.